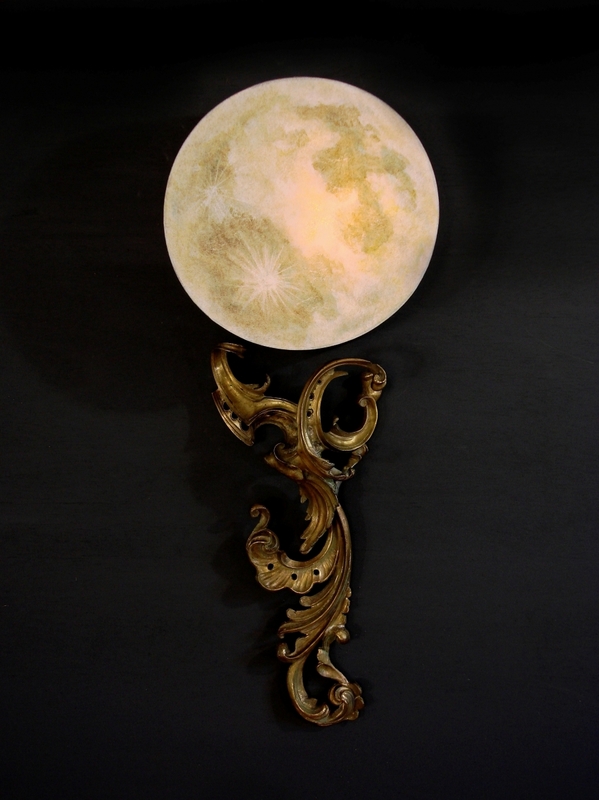 This pair of hand made wall lamps feature hand painted, iluminated lampshades that glow in natural tones of a full moon at rising. The rococo posts of the two lamps are mirror images of each other and are made of solid bronze and cast acrylic. The overall height is 33". The illuminated lamp shade is 13" in diameter and 5" deep with the sides of the shade painted in what we call, "Museum Blue" (textured, translucent tones of burnt umber and pthalo blue). Signed and Dated by Art Donovan.